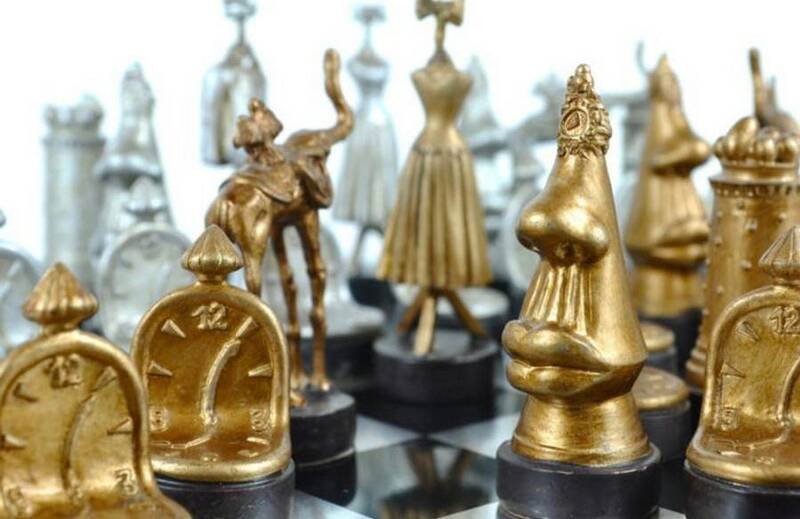 Salvador Dalí Chess Cards and Board. 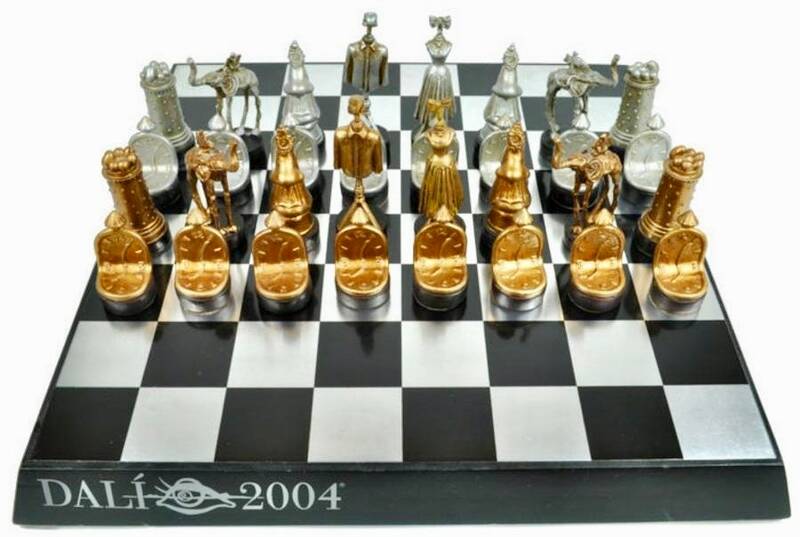 This Chess is displayed in many of the Chess Museums around the world and is perfect for completing the collection of unique beauties. 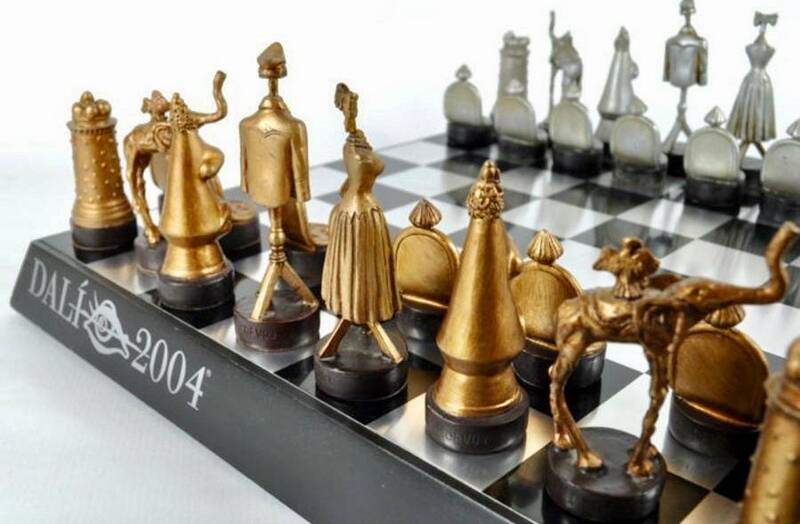 The 32 pieces of Sculptural Chess that make up this set are limited edition and signed by the Dalí SVDF03 foundation (2003) in all its bases. All the pieces are completely new and sealed. 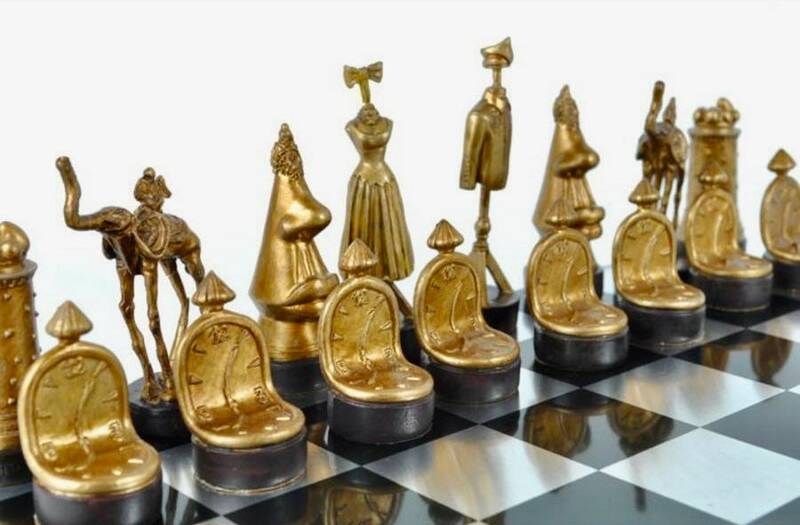 Pieces that represent the best works of the artist, a series of sculptures to elaborate this exclusive chess of surrealistic design and unique for the centenary of the birth of Dalí. 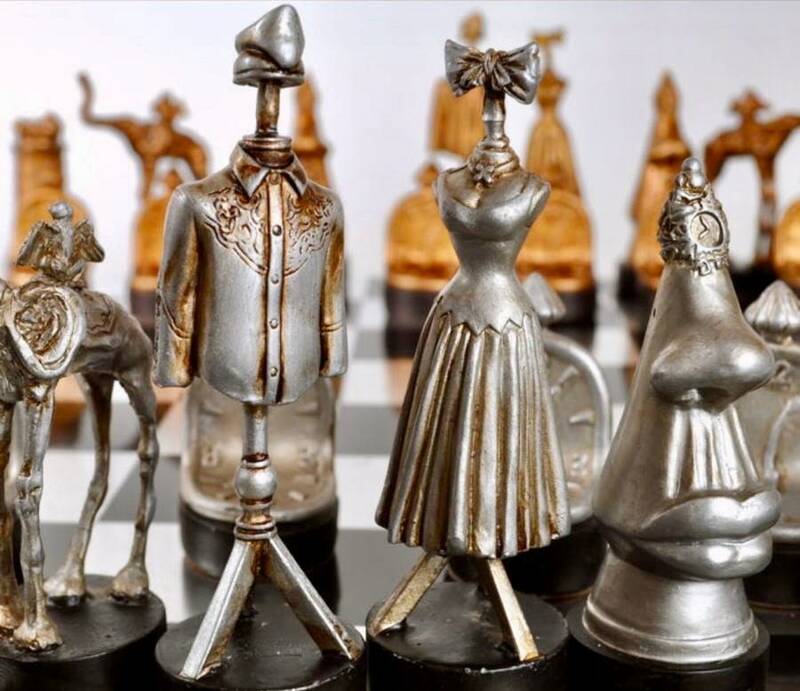 All the pieces are accompanied by an explanatory card of the different works of the artist of which this great chess is composed. 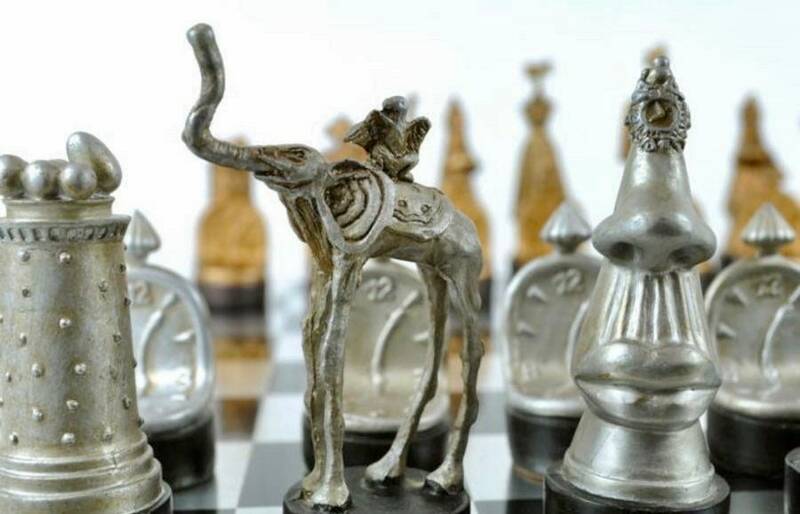 It includes the original metal design board of the perfect escape collection for the pieces and perfect for the exhibition of them. 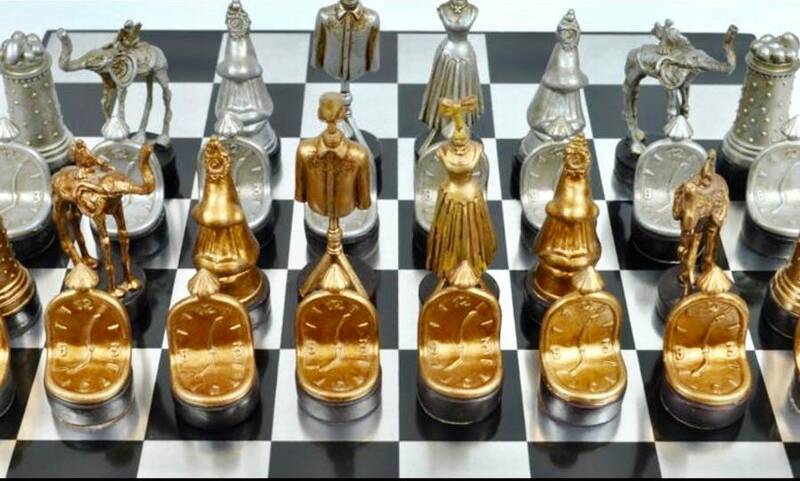 The dimensions are from 5 to 9 cm the pieces and the board 33x33cm. 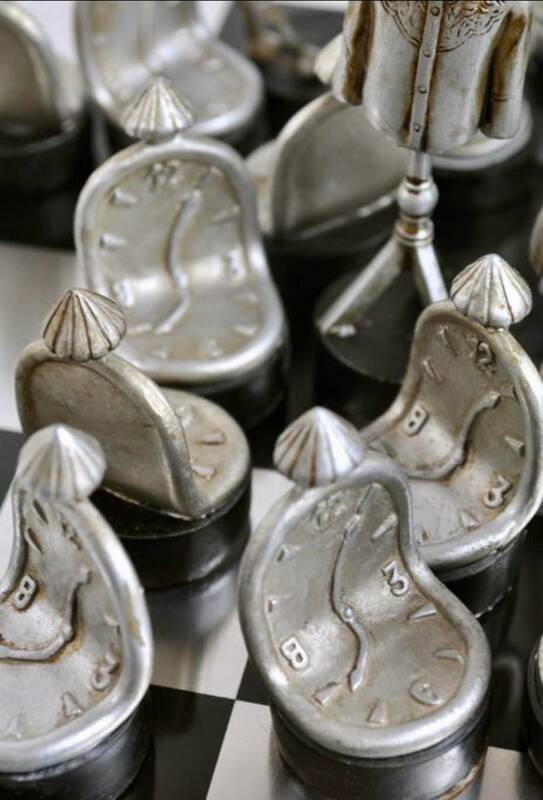 With Vintage Chess the Chess Museum will be at your house. 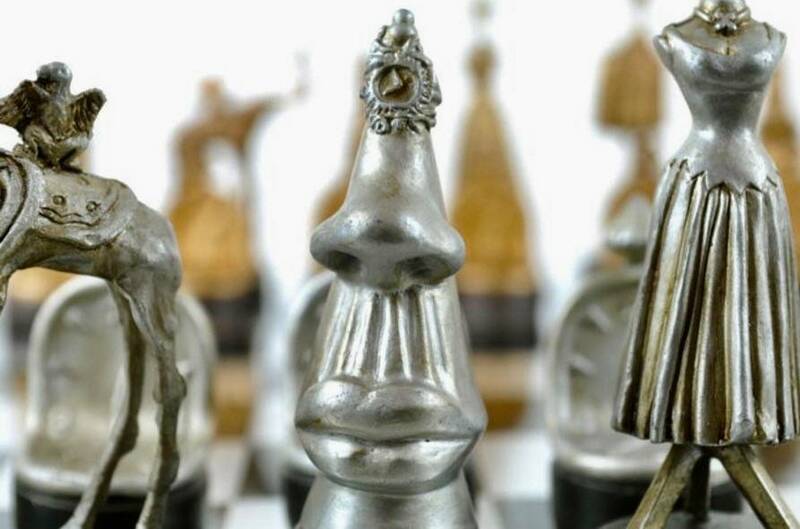 Buy History of Chess, Buy Vintage Chess. 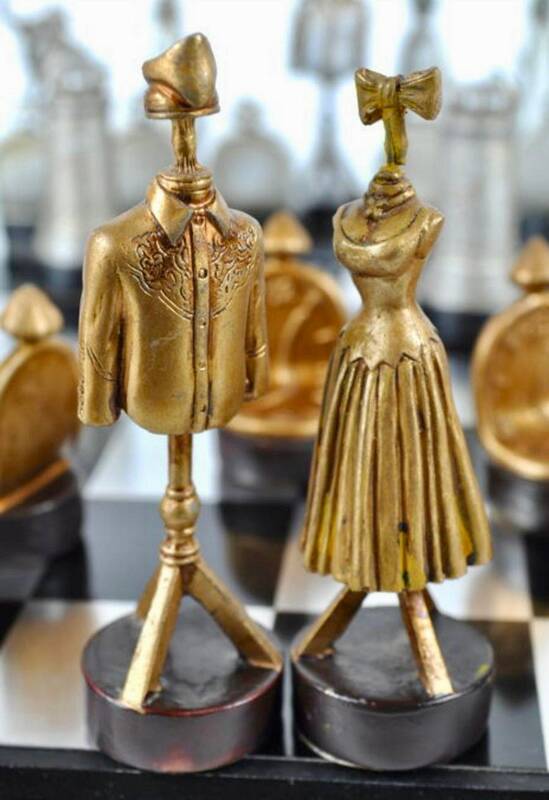 See the products of my store.